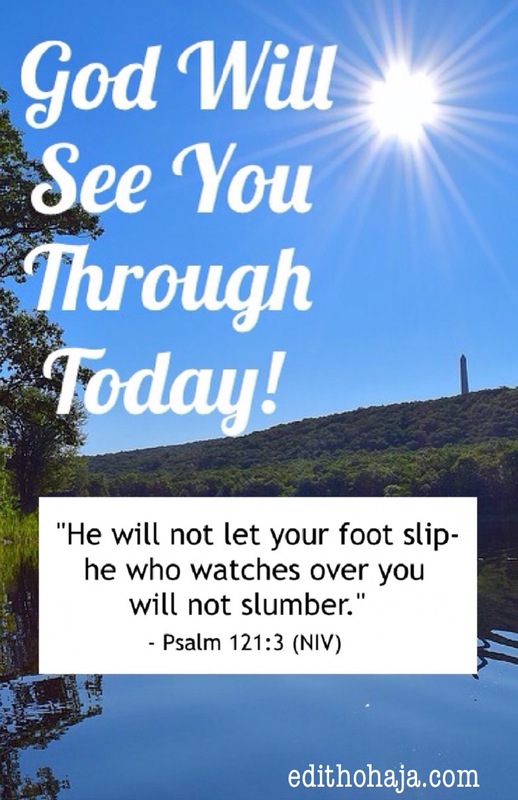 GOD WILL SEE YOU THROUGH TODAY! That hymn, authored in 1822 by John Keble, an Englishman of outstanding intellect, was a great source of comfort to our young hearts, just like many of the other inspired hymns we used during devotion time and assemblies. We sung it so frequently we didn’t need to look in the hymnbook. Why was this hymn so special? We are more or less helpless when we sleep. But God watches over us and brings us into a new day. (Even if you’re a prayer warrior and accustomed to holding prayer vigils, it is God who gave you that calling and the grace to discharge it.) God protects us from the dangers of the night. God is available for us all day long. And He is infinitely strong. 4. Behold, he that keepeth Israel shall neither slumber nor sleep. 5. The Lord is thy keeper: the Lord is thy shade upon thy right hand. The Lord shall keep us in all our ways. What more do we need to enter the day with confidence? The only thing He asks is that we make peace with Him through His Son Jesus so that the devil will not have the legal right to perform his evil work in our lives. May you surrender to the Lord Jesus today to experience God’s guidance and protection fully in Jesus’ name. For the full lyrics of “New every morning is the love” and information about its author, click here. Wow! The Lord always sees us through, but sometimes we worry too much and we lose focus in the process. Thank you ma. I had to jot down some scriptues there as well. Glory to God! You are lifted, Jay, in Jesus' name. Amen, that's right no matter what we go through in this life, God will see us through. Yes, my dear. He is so so dependable. It's always a pleasure to hear from you, Lucretia! Stay blessed in Jesus' name. Thank You!!! God bless you as well! This post is timely.concerning the difficult situation am passing through. You have given me hope and courage that no matter my difficult situation, God will see me through. God's grace. I am blessed to live somewhere I rarely worry about sleeping safely, but the worrying about my health or life or finances can be hard to relinquish. God never sleeps and has already seen my future. Amen! Yes, Jen, there's always something giving us concern of some sort, but like you said, God knows our future and He is always there for us. Abundant blessings on you, your family and ministry in Jesus' name. I ask the Lord to protect me from the wiles of the evil one. I ask the same for each of my family members. The enemy sometimes speaks into our subconscious in our sleep, and we are not aware of how certain thoughts came into our minds. When we are awake, we need to take every thought captive, but it's impossible to do that while we are asleep without the Lord's help. Yes, while we know that God is there for us, it does not obviate the need to pray. Thanks for dropping by, Susan! A big bouquet of blessings to you and yours in Jesus' name. This is so comforting! I know that about God watching over me when I sleep but to visualize Him standing near me keeping me safe takes it to another level! This line is my favorite, "No human being can perfectly tell what the future holds. But the Lord who brought us through the night is with us to help us face the challenges of the day." I'm so thankful to have God with me! Praise God! He is our shelter and confidence forever. Thanks for visiting, Julie, and may God uphold your ministry and family in Jesus' name. the One who never sleeps nor slumbers takes care of us when we have no control on ourselves ... He makes us dwell in safety... beautiful post. 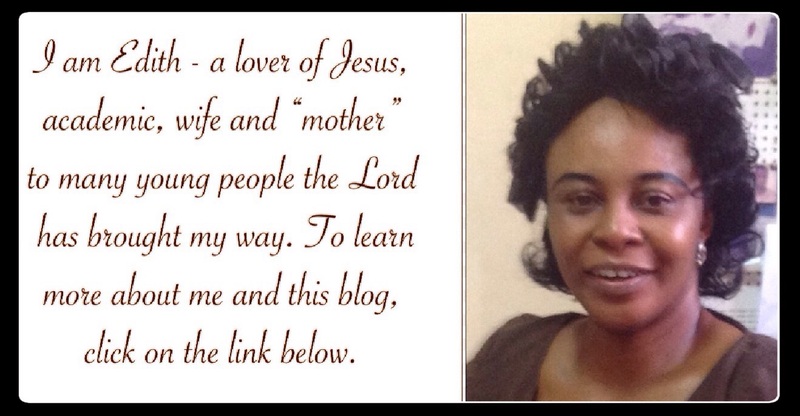 Praise the Lord and remain blessed, Ann! We all need God's protection every single day of our lives and we all should also learn how to adore and give him praise when he gives it. You are richly blessed in Jesus' name, Emmanuella! The creator of heaven and the earth said He will not leave us nor forsake us. In His arms He will fold us and in His hands He will hold us. He is our redeemer and He will care for us. I believed Him when He said 'LO! I am with you always even till the end of the world" So, we should learn to rely on His promises and cast all our cares upon Him because I know He cares! You're right, Gift. He truly cares. His promises will be fulfilled in our lives, He will see us through difficult times. All we have to do is just believe. The lord sees us through, always. Every day I feel God's love for me, because I know God seeing me through a night is more than enough, talk less of what he does for me every night and day. Amen. He never leaves those who trust in him. AMEN, God is always faithful and never abandons his people. I'm blessed by this piece. Our help is in the name of the Lord who made heaven and earth and he alone can determine how well our day goes and what happens. I pray only things within our capability comes our ways in Jesus name Amen! Everything we do in life is through the help of God. Man is nothing but God made us something by promising us of safety and provision. The point I am trying to make is that God does not abandon his people , even when we think that all hope is gone, that is when God steps in to answer our prayers. We all need God's protection every single day of our lives and we all should also learn how to adore and give him praise when he gives it because he is the ultimate in everything we do. I have so much Faith in God's Words as stated Psalms. This is the reason why I am always fearless when it appears there is danger ahead because I believe that I have a Father who protects, cares and guides me against evil/devilish machinations. I am always confident of my father's undying and unmerited love and protection. He has a reason to still keep me alive. I am His Unfinished Business! Alleluia!! I constantly remind myself that God is always with me regardless of the situation. He is my Emmanuel. Thank you, Aunty Edith for this beautiful graphic. God who brought us through the night can help us face the challenges of the day. He has always been doing it and He will continue to, not under compulsion but because we are His. Bless the name of the Lord. Thank Ma'am. am really impress for this post it give me more reasoning why i should be courageous,honestly is really inspirational. if God can provide for the birds of the air, how much more do we think he can do for us. He made heaven and earth and will surely not let us fall. Every morning we wake up for a reason and God will is surely behind us. God is ever ready to show his infinite mercy upon his children no matter the situation thats why the bible says" it is not of him that willeth or of him that runneth it is of God who showeth mercy" we are at the mercy of Gods grace not because we so qualify/merit it but because his a God whose love and mercies endureth forever and thats why when am been faced with the storms of life i breefly remember that God is a good of the impossible and that alone gives me rest of mind. we should all need Gods protections in our life and we should learn to praise and wordhip him.am inspired. Waking up to see the dawn of a new day is actually a blessing and His grace sufficient enough for us. His protection and guidance in our life is not deniable. He protects us from unseen danger and also makes a way where there seems no way even without our knowledge. God is indeed great! because is not of him that runnet nor of him that willieth but is of the Lord that showeth mercy.lord I thank you for your infinite mercy and protection even when am asleep you still protect me. God has always being good for them that understands Him and does His will. how can one know God? only through the scripture. Have faith in God even when your pathway seems crumbling, He sees each tear, He watches over His own, He cannot fail He must prevail... Have faith inGod , have faith in Him. Indeed, our plans doesn't matters because God's plan for us is always the best. Its Good to begine the day having in mind that God will always come to our aid when we need him. My soul is lifted with this ma. GOD IS GOOD! Amen i claim it in Jesus name. and God will see each and every one of us through, in all our diverse situations Amen. thanks Aunty Edith for such a wonderful words of admonishment,God will strengthen you the more. In every post there's always a line that gets me! There's no problem that hits me that God and I can't handle together. Thinking about my challenges now and how God has brought me thus far from worse challenges,I'm strengthened and motivated to trust him to see me through! I love you Jesus and thanks to Aunty Edith for always bringing the word of God close to me! We worry too much that we forgot, that no matter whatever situation we find ourselves, God will see us through. In this difficult time and challenges I pray God see me through, let this passage be a pont of contact to helping me achieve my desire Amen. This piece is a very encouraging and inspirational write up. It is not always easy but with God all things are made possible, with God he will show the way that leads to life and will save us from hell, Lord be our strength and give us your grace to achieve great exploits. Nice piece aunty Edith. This message is motivational, believe in God and all your sorrows will come to pass. God in his infinite mercy never leave nor forsake his children so whenever we are in times of difficulties, we should acknowledge him because he will surely see us through. Ma, thanks for this nice piece. This story made us to understand that the lord watches over us even when we are asleep ,God is never unfaithful though he punishes us but he can never abandon us no matter what.the lord is available for us all day long .And he is infinitely strong and that he shall keep us in all our ways. Awake or not,we are defenseless without the lord..but one with God is one with all and he shall always protect and keep us safe. He is always with us to provide and help us through our problems. God is very merciful and compassionate. He knows about every situation we find ourselves in and is always there to change such situation no matter how it may be. Irrespective of our sinful nature, he overlook us rather he always care about us whenever we turn to him. We should never look elsewhere even when it seems all hope is lost, we should hold unto him to restore such hope and to see us through in our respective problems. The joy of sleeping and waking up everyday with the assurance of someone watching over us, am delighted to know that someone cares and loves me and that's God. He will surely see us through. God is our provider and protector. He will see us through any difficult situation. He saw us through the mysteries of night so he is able to sustain us. Also in psalm 23, the lord is our Shepard we shall not want. As long as we are with Christ and behave in a Christ-like manner, He will never leave us in time of temptation. Christ is the only way, for He said I am the way, the truth and the life. If we follow His ways, will find life in abundance. We humans we worry too much, that's why its best to hand everything over to God. He'll see us through in all we do, we should worry about the present (today) and hand every other thing over to God. The love of the Lord is my strength and I pray that I continue to uphold to that when facing trials and temptations now and in the future. So help me God. Indeed, our God never starts something and leaves it halfway. Whatever He sets to do in our life, must be accomplished. 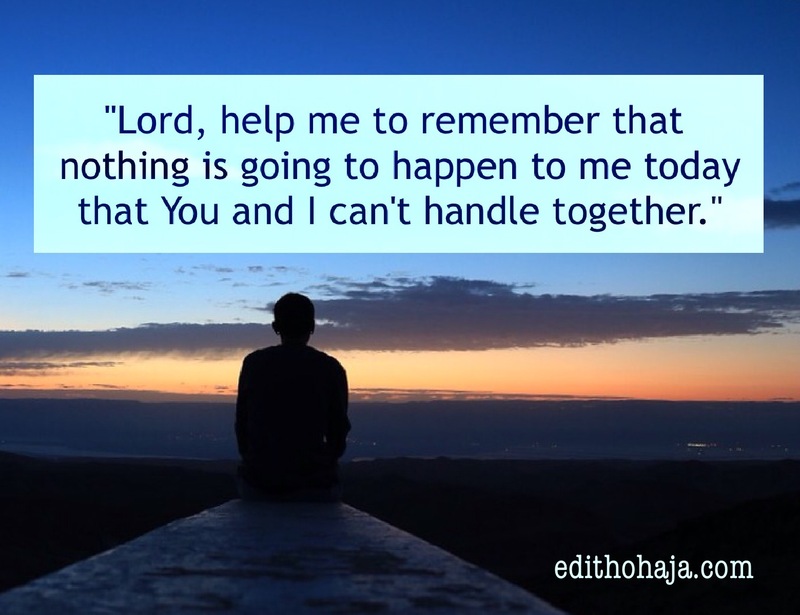 The quote ' Lord help to remember that there is nothing that happens today that you and I can't handle ',its a quote I say sometimes after I saw it in your office. It helps to remind me that God is in charge and that He will see me through. If not the Lord who was on our side, what would have become of us? He said He will be with us always even till the end of age. Thank u lord for seeing ur children through. I am too impressed with this writing ma, the lord has showed me many reasons why i shouldn’t doubt him, even when all hope is lost, he strengthens me, i trust and believe in him, he can do all things, by him all things were made, i know all our worries are minor to him. He will surely see us through. Its has been made crystal clear to me that, no matter the calibre of metaphysical forces, it will surely be annulled, neutralized and nullified by the utmost being and the creator of all creatures. I have gotten to the point in my life where i understand that God can never give me pain more than i can bear .And every situation i find my self in is to give me an experience and make me grow up more .What doesn't kill you they say makes you stronger so I know God will always see me through every problem i'm facing in these evil days . Isaiah 40:31 says, But for those who wait for the Lord shall renew their strength: they shall mount up their wings like eagles; they shall run and be weary they shall walk and not faint. God Almighty will never allow one that follow him and do his good work to encounter any problem in time of problem. Promise to be our refuge that enemies oppression will not do us anything as far as he live. That he is the God truth way and life. God Almighty never fail people who trust in him. He promises and fulfill. Major important thing is the way he used to feed us, cloth us and shelter us which is the primary basic things in life. God I beg for mercy for the atonement of my sins without you I would not have existed in this world. Thank you Lord I belief you will see me through today and henceforth. You are God indeed. Thank you Lord. For your mercy, blessing, grace and anointing upon my head may your name be praise all the time. Pray and hope you will see me through today and now henceforth. Thank you MA for giving us this article. I am an empiricist of His protection in many ways. God is always with us indeed, He says in His word " I will never leave you nor forsake you" " I am with you always' thanks to this all sufficient and magnificent God. Thank You Jesus. The Lord is always our strength in all conditions, he's always there for us. That we are alive today is by his will. God is a caring father. The scripture says "...He is by our side to protect us, the sun will not hurt us during the day nor the moon during the night, they Lord guide us from every evil...". He has promised to see us through in Psalm 91, why then do we shiver and fear? so motivated by this post.